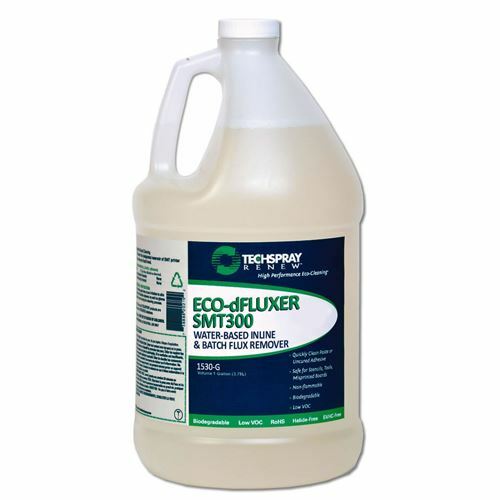 Eco-dFluxer SMT300 is a water-based, environmentally friendly cleaner that is designed to work in both inline and batch cleaning equipment. 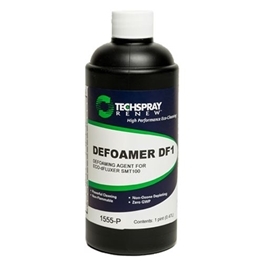 Powerful defluxer but safe on sensitive metals, preventing oxidation and leaving shiny solder joints. Safe, eco-friendly formula. Effective on no-clean, R, RMA, OA fluxes and new halide-free fluxes. Eco-dFluxer SMT300 is fully compliant with California CARB requirements. Also compliant with European REACH and WEEE initiatives. It does not contain RoHS restricted substances, SVHC listed substances, or halides.